CHALLENGES. Failing a class, getting dumped and figuring out where you fit in, are all difficult high school challenges. Finding the answer is not always easy. And let's face it, your parents may give you advice, but rarely do they really know where you’re coming from. So, if you’re looking for the real deal on issues like anorexia, dating, or helping a friend in trouble, you've come to the right place. So What's the Deal? The good news about tackling challenges is that you end up stronger and smarter once you reach the other side. These stories are from teenagers just like you who have gone through many of the same problems and survived. 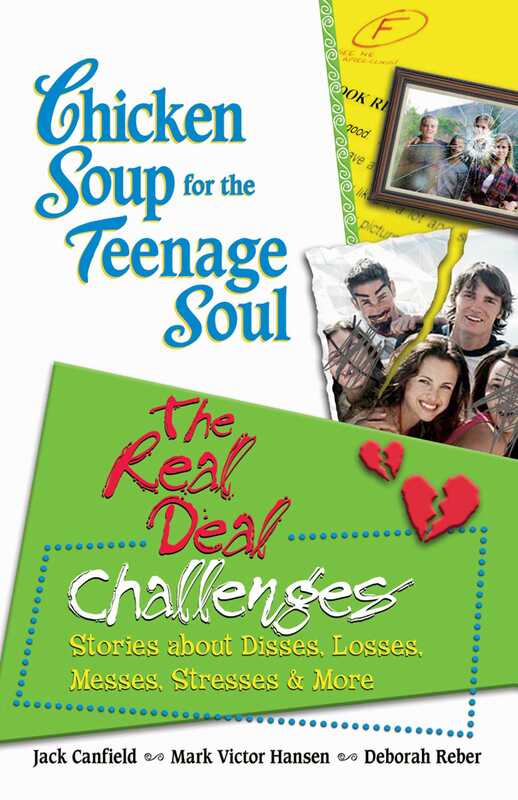 Whether it’s standing up to the mean girl in the cafeteria or staying true to yourself under peer pressure, Chicken Soup for the Teenage Soul: The Real Deal Challenges tells you the absolute truth about what it means to be a teen.